Most expectable products will be displayed at cosmetic counters all over Japan. I tried new medicated HAKU products at the shop, they are quite rich, smooth and scentless. Especially, Active Melano Releaser (Lotion) is very comfotable to use. Just one drop of thick liquid told me how much moisturize my skin. Shiseido staff recommends me to use thin cotton pad and wiping melano out for best result. There are 2 types of emulsion in new HAKU. Inner Melano Defencer has a normal, most usable milky texture. Melano Defence Poweriser is a very unique and richest emulsion with carbonic form texture. Melano Defence Poweriser costs bit higher than Inner Melano Defencer, but larger in volume. 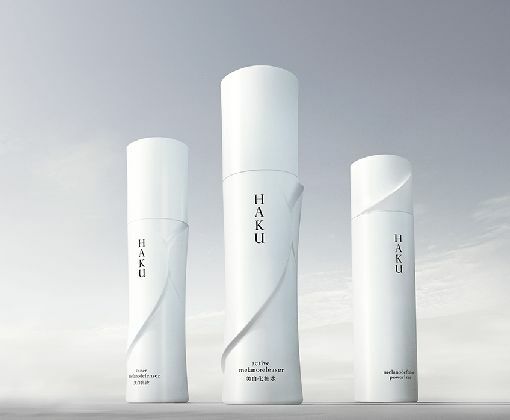 We will list new HAKU products at special price as a launching campaign soon. This entry was posted in News and tagged HAKU, Shiseido, Skin care.